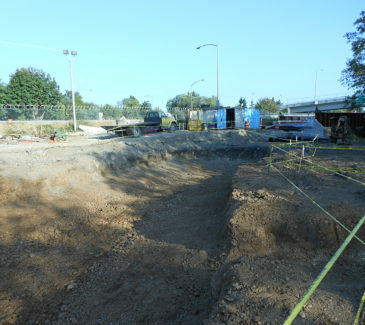 AEC was awarded the East Segment portion of the Portland-Milwaukie Light Rail Project and performed the work as a subcontractor to the site owner’s engineering firm. This competitively bid section of the project involved AEC reconstructing the Johnson Creek Eastbank Greenway which supported the new Water Avenue Alignment. AEC was contracted to cut and export the flood plain area and provide extensive stream enhancement. 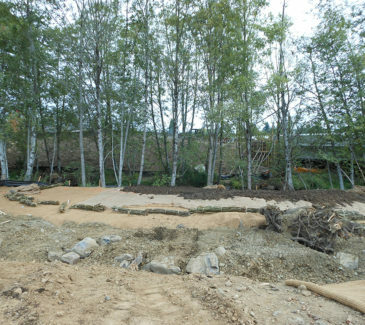 Prior to field operations, AEC developed a water diversion plan for re-routing the stream while installing large wood debris in the streambank. 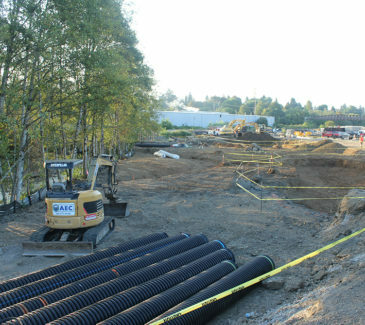 We constructed and contoured a diversion channel and two (2) holding ponds for stormwater retention and flood control. Next we installed coir matting and live plant stakes for future growth and bank stabilization. 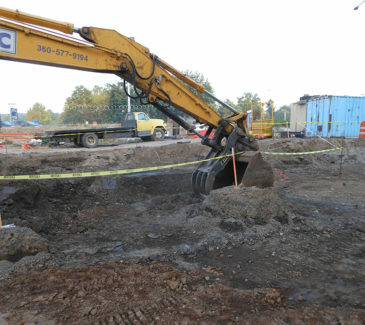 During site operations, AEC conducted continual flow testing to ensure the diverted stream was producing the flows dictated in the specification. AEC completed this project on time and within budget.